Our next Community Led Plan Meeting date will be shared here. 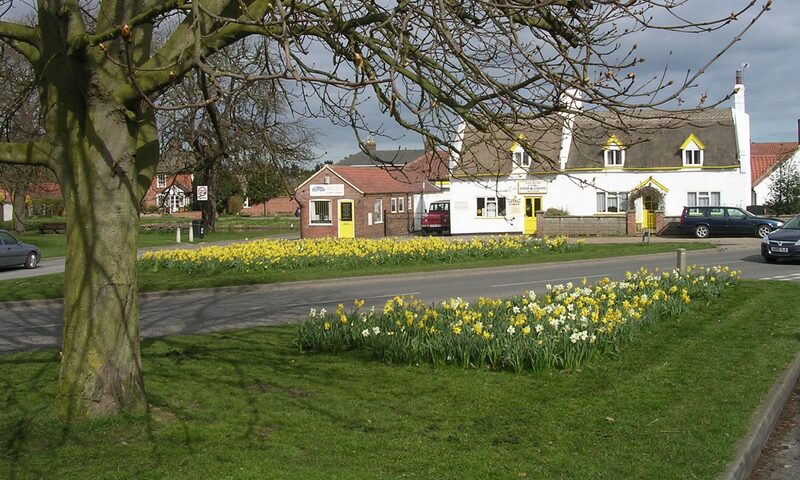 Our meetings are held at Martham Community Centre. What is the Community Led Plan? The Community Led Plan needs to be, exactly as it says, Community Led. The Parish Council is calling the meeting and giving this chance to members of the village – but cannot run it. Members of the Community need to come along to Community Led Plan meetings and take charge. You do not need to have any experience, or particular skills – just an opinion, and a desire to give people in your Parish a say in the future of the village they live in. Contact us if you’d like to attend, see the latest meeting notes or find out more information. The MCLP met for the third time on Wednesday 24th June to elect a committee to oversee and direct the Steering group. Positions were discussed based on those outlined within the best practice guidelines. It was decided as a steering group that a Vice-Chair would be elected to support the Chair and secretary. Following the election the Chair got straight to work in discussing the next meeting date and potential topics of discussion. The next meeting is set for Wednesday 29th July at 7.30pm in the Community Centre. On the conclusion of the official meeting of the whole steering group the committee got straight to work on applying for a grant to assist in the initial start-up costs of this exciting project which aims to improve the village we live in. Our group of villagers were able to spend time together in small groups. They’ll soon be forming a steering group so finding out a bit more about each other will help them decide on their steering group roles and how they’ll work together. Reviewing Parish Plans and Community Led Plans produced by other parishes. Looking at survey questions used by other parishes to find out what parishioners had to say. Lots of ideas were shared about how to make a survey easy to read, complete and use as a basis for action in the community. It was time to try and write a survey question. It gave everyone an idea of the things it’s important to consider when asking what seems like a simple question. Would it be understood? How much detail would be enough? Would it be too wordy and complicated? We discussed the formation of a steering group and important roles to manage the group as it worked towards the creation of a Community Led Plan. 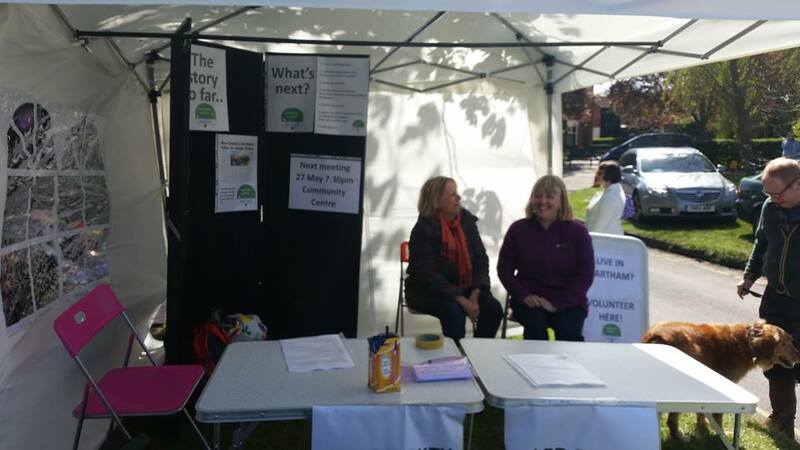 Thank you to everyone who came along to speak to fellow villagers volunteering at their Community Led Plan information stall. The stall was set up and run with the hard work and support of Mark, Paul, Wendy, Debra, Jo, Brian, Noel, Miep, Sharon, Ted, and Sarah. Top work all! Over 60 residents from Martham turned out at the well attended launch of the Community Led Plan. They were joined in the community centre by representatives from the Martham Parish Council, Borough and District Council, Flegg High School, The Martham Sports and Social Club, the Playing Fields committee, Martham Youth Club, Martham Bowls Club and many more. 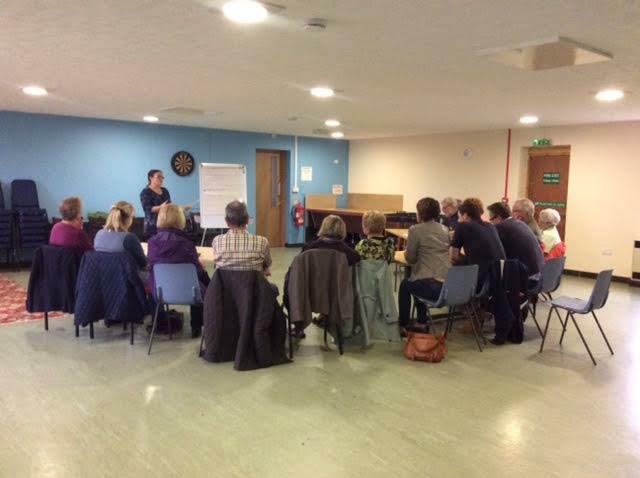 Charlotte Stannard of the Community Action Network (into which the Norfolk Rural Community Council has recently merged) gave a presentation about what Community Led Plans are. Key messages were that Community Led Plans are lead and driven forward by members of the community rather than the Parish Council and can take up to 18 months to develop. 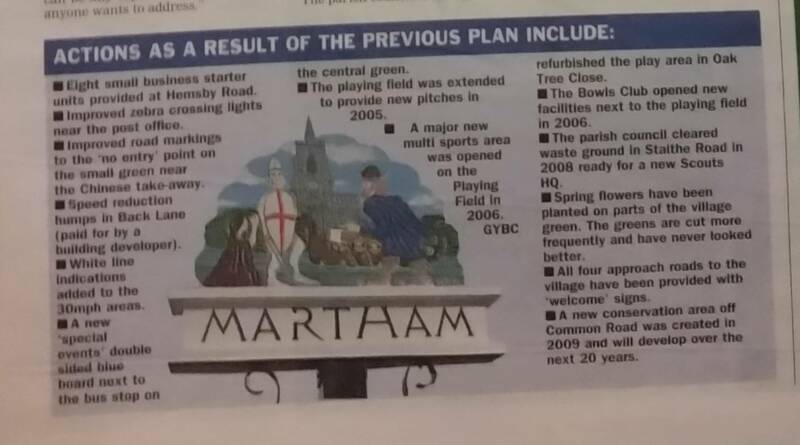 Once in place, such plans would give Martham a stronger footing in getting support for grants and for having a say in how government policies are delivered in the village. Residents expressed their keenness that this plan has some power and weight as it would take significant effort to pull it together. Questions from the audience included many around the success of previous plans and how this one would be different. You can see the things that were delivered by the previous plan below. Charlotte and Councillor Smith explained how the 2004 plan was definitely due a refresh for 2015 so the views of the villagers in the present day are gathered. The Parish Council and the community as a whole would find the new information from villagers extremely useful in taking actions for the next five years. The level of determination among Martham residents that upcoming housing developments were right at the top of their minds at the moment was clear from the questions that followed. The view was that more could be done to inform residents of proposed housing developments in the lead up to planning applications being submitted. The effects of future expansions of the village were discussed and a local land owner provided his experiences and approaches to consulting the community. 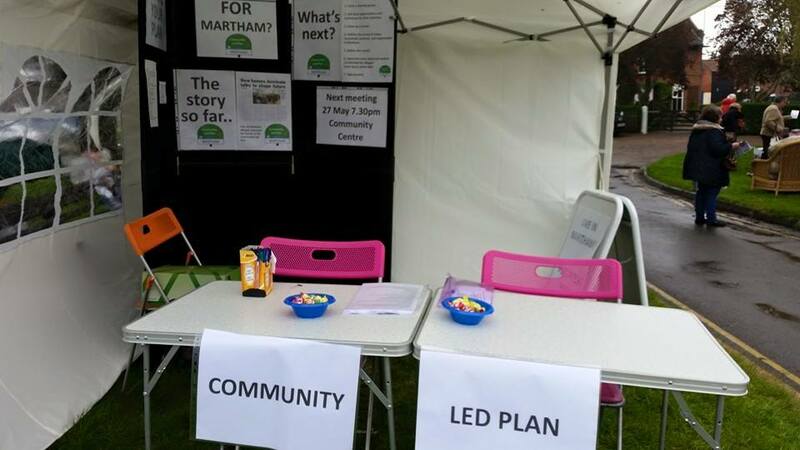 So that attendees could be kept informed, share their top priorities for Martham, and indicate their skills and availability to help the Community Led Plan get underway, a short attendee form was passed around the room for completion. 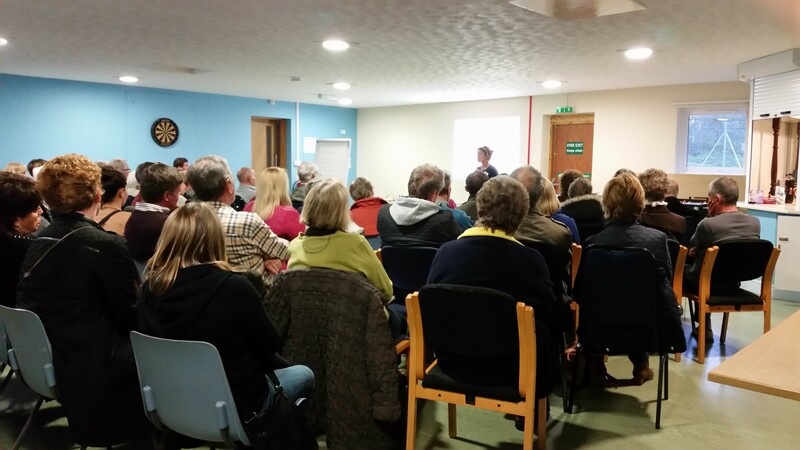 Thank you to all that attended for giving up their evening to hear about the plan and to those who have now stepped forward to help progress it. 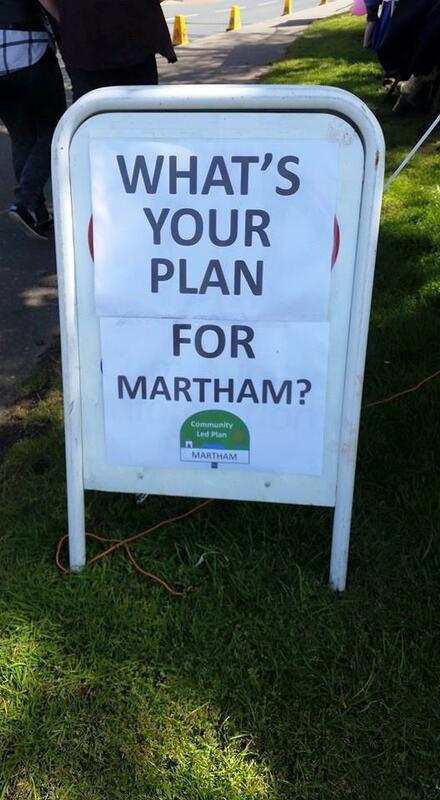 Visit the Martham Community Centre and ask the Parish Clerk. Download a form here and post / return it to the Martham Community Centre.